NMR can be a useful tool in the characterization of polymers. You can use NMR to determine the relative ratio monomers and co-polymers that have been incorporated. It is important for polymer NMR to have a clear end group preferably one that does not overlap with peaks of your polymer unit as they are used in analysis for comparison to the monomer. With clearly defined end groups, you can use the NMR spectra to calculate the average molecular weight of your polymer through the ratios of end groups signals to that from the monomeric and copolymer signals. This is described in more detail here. The stereochemistry of polypropylene groups can also be obtained from carbon NMR with the variations in stereochemistry through differences in chemical shift and number of signals as shown in some examples here. 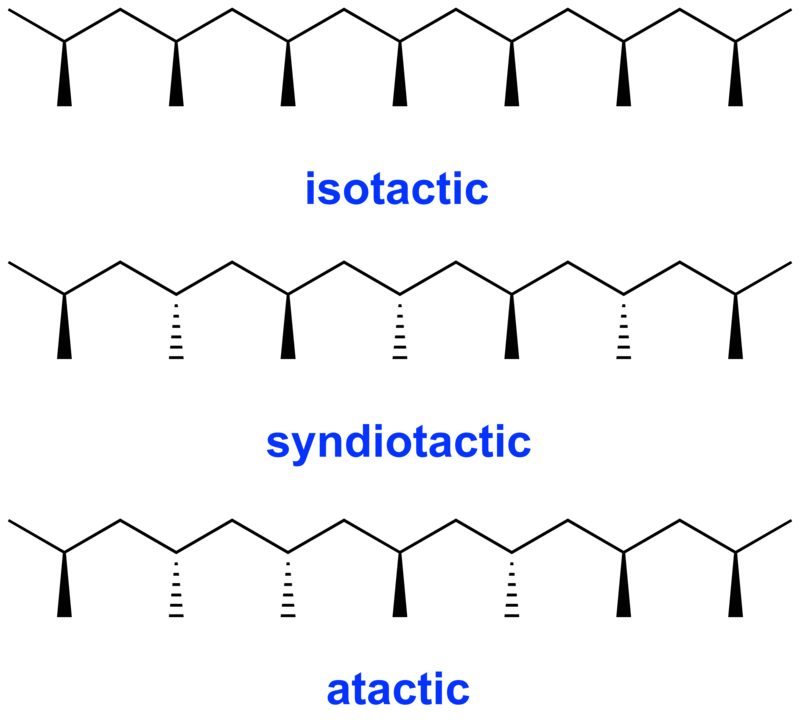 If all the methyl groups are oriented on the same side of polymer this is called isotactic. If the methyl groups alternate every other carbon which side they are oriented this is called syndiotactic. If the methyl groups stereochemistry is mixed with no defined pattern in orientation this is called atactic.